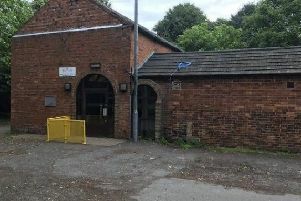 Swimming pool lifeguards who failed to spot a youngster as he almost drowned may have been distracted by a “group of lads” causing “a fuss in the deep end”, a judge has heard. A top QC asked a leading safety expert how two lifeguards “failed to see him drowning”, as the youngster floundered at Northampton’s Danes Camp Pool 13 years ago. The boy, just six at the time, nearly died after slipping below the waters for over two-and-a-half minutes before he was rescued by another swimmer, London’s High Court has heard. He was with his father and family at the time of the 2002 tragedy, but drifted out of his dad’s sight in the moments before he came to grief. He suffered severe brain damage and, facing a lifetime of disability, his lawyers are suing Northampton Borough Council for up to £5 million. The council denies all liability, however, insisting that the lifeguards on duty were fully alert and in no way negligent. Bill Braithwaite QC, representing the boy, said the lifeguards were supposed to have in place a system known as “10/20 scanning”. That involved scanning the pool in 10 second bursts and also meant that individual lifeguards should be no more than 20 seconds from the furthest point of their particular “zone”. The court heard evidence from water safety expert, Keith Sach, who Mr Braithwaite quizzed about the accident, and whether it should have been prevented. The barrister pointed out that the boy had submerged in an area of water which lifeguards were meant to be “constantly scanning”. “Are you prepared to say that their failure to see him might not be negligent?” he asked. “It might not,” replied Mr Sach. Mr Sach said it was hard to give a precise answer as there was no clear picture about what was happening elsewhere in the pool. The QC, however, pointed out that all that was known about the “disturbance” was that a lifeguard had “told off a group of lads after a fuss in the deep end”. “I don’t know,” answered Mr Sach. The hearing before Judge Sir Colin Mackay continues.